Our goal is to help your child feel that coming to the dentist is fun! We want to help children become confident patients so that they continue to take good care of their oral health for the rest of their lives. To ensure a good start, we recommend that your child visit the dentist by his/her first birthday. We understand that children can be fearful of new situations, but our goal is to keep their teeth healthy while making them feel comfortable and relaxed. We want your child to enjoy getting to know Dr Harpavat and our staff and feel that this is their “space” where they can be themselves. 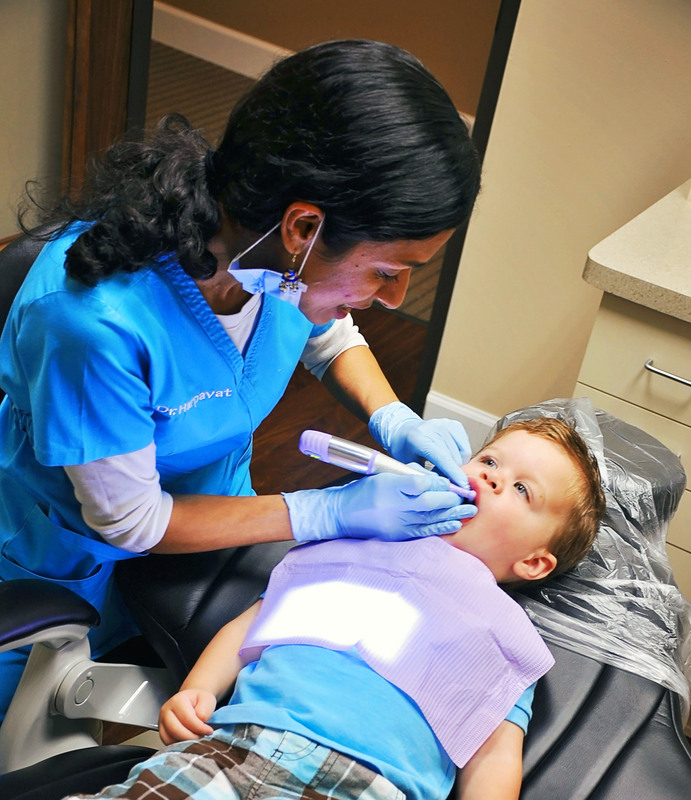 A happy first visit builds trust and helps put the child at ease during future dental visits. If they are older, let your child know that the doctor and staff will explain everything in detail and will answer any question that he/she has. Encourage them to share any fears with us so that we can talk about it during the appointment. Parents should also try to approach the visit in a relaxed way and refrain from using any words that could cause unnecessary fear. We are experienced in dealing with children with anxiety and can explain treatment procedures in a positive way to avoid any negative feelings toward dentistry. In this visit, we will record the child’s dental and medical history, complete a comprehensive examination and discuss any findings with you. Preventive health is achieved when the whole family works together. We encourage parents to be engaged in the treatment process and accompany your child as needed. We will review the importance of maintaining a good dental health program with you and your child to ensure a healthy and beautiful smile for life!